Misty is the newest member of the Bee Healthy Team. 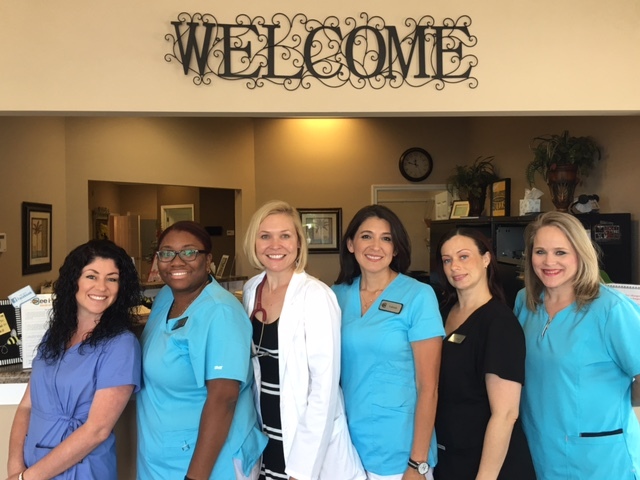 Originally from Gilbert, SC she has served RN for over 15 years, and recently graduated from Chamberlain College of Nursing in 2016 as a Family Nurse Practitioner. Misty enjoys her time with her previous 18 month old daughter, and 8 year old labrador retriever. She enjoys walking, cooking, shopping and home projects, and to be clear loves the Gamecocks! Kristen is a recent graduate of Virginia College as a medical assistant. She is originally from California and have recently moved here to South Carolina. She enjoys outdoor activities with her three children and husband. She also enjoys basketball…Go Warriors, and cooking italian food for family and friends. Christine is a recent graduate of Remington College as a Certified Medical Assistant. was born in New Jersey but I lived in Charleston SC for about 23 years until I moved to Lexington with my fiancé. I love basketball, shopping and eating, but most of all I love being a mother to a wonderful 2 year old. Julie attended Remington college where she received her Registered Medical Assisting degree. She has over 13 years in the medical field and has been with Bee Healthy for 5 years. Julie enjoys spending time and cheering on her son in all of his activities. She also enjoys crafts teaching kids at Elevation Church and spending time with friends. Janay is a graduate from Midlands Technical College where she received her degree as a Medical Assistant and Phlebotomy. She had 10 years experience in the medical field. She enjoys spending time with her son and cheering him on at his sorting events. She enjoys encouraging people who have life challenges and difficulties. Valinda has a degree in Business Administraion from New Mexico Junior College, and has a background in Business operations and Human Resouces, and is a graduate from Piedmont Technical College’s LPN program. She was introduced to Bee Healthy as a patient and has been on staff for 4 years having gone through the program losing 75lbs., and today continues to be on maintenance. She enjoys crafting sports exercise and most especially spending time with her two children and friends. You will find her in Irmo or Lexington clinics.